note: numbers in ( ) in this article refer to the footnotes. Click on number to read. 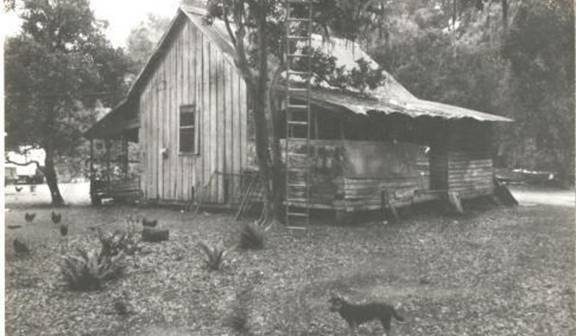 canal next to the old ice plant, Clarence Holmes contracted Belove Tillet to build a forty two-foot party boat.(1). Manns Harbor fish docks where the Secotan docked. the wildest of torrents…trust me for I have been there. and it was the name of a local Indian tribe. electronics. (8) All were installed and this little legend lived on. 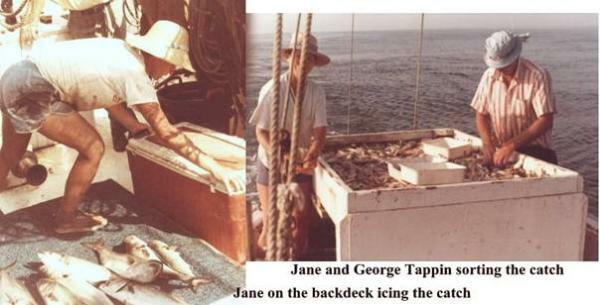 when they got to know an old friend of Jane and mine named George Tappin. Maine and his father from Barbados in the Caribbean Islands. had gotten the first half of his life and that GM had the rest. almost 150 years old when I took this picture back in the 1980s. 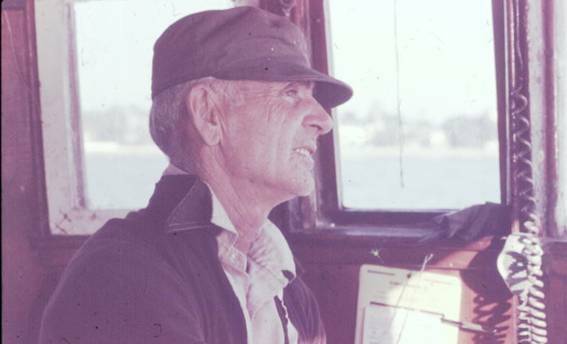 experience on a shrimp boat as we worked side by side with him our first winter in Florida. that I had never met such a powerful person as George. George Tappin’s boat the “Terry” heading out to sea to start the fishing day. 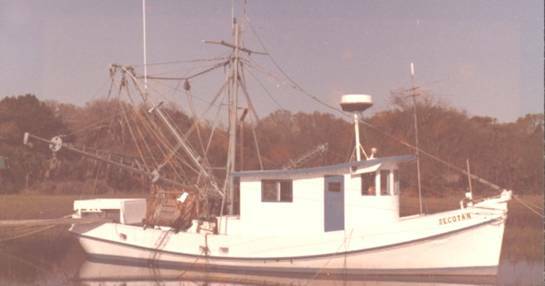 shrimp boat…hang on at all costs! 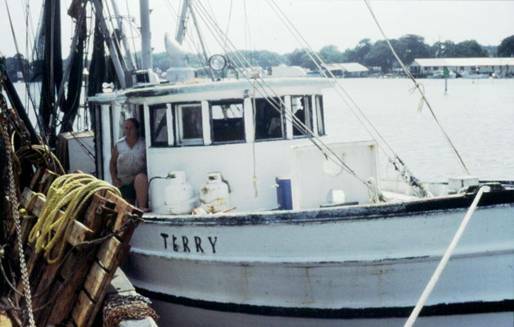 The Terry with the empty trawl net ready to go back to fish again. 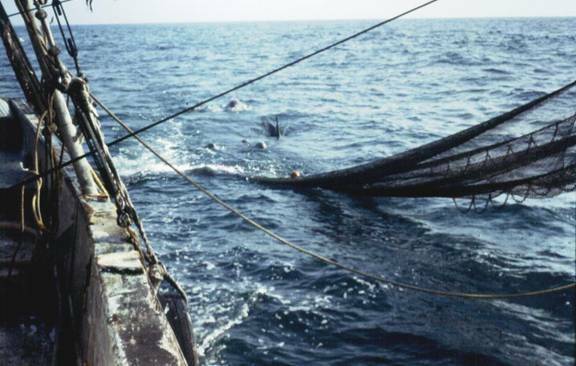 The Terry pulling in the full net with porpoises following. of Youth on his first voyage. To this day you can visit the monument constructed there. some five hundred miles at ten knots of speed. laying across its bow…a chilling sight, and a reminder that this could be a dangerous place. the “for sale” signs off the boat and weren’t bothered again. our partnership didn’t last as long as George had thought. we would just have to head down the waterway to some quiet cove and drop the anchor…and so we did. and Jane on the stern. me (barnacles inside the boat). emergency repair of the hull. bilge pumps working…the first time both had ever been in service at the same time since we owned the boat. 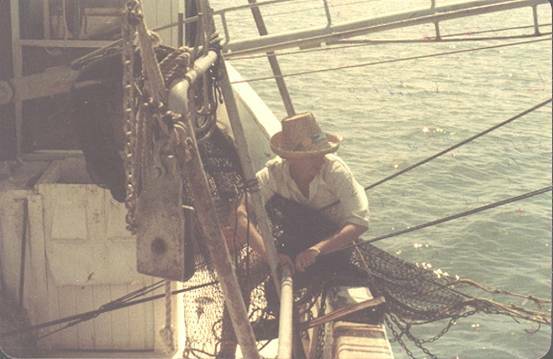 On the back deck of the Secotan, Jane pulls the “Try-net” onboard. pinched, teeth that snapped, spines that poked and even electric shocks that startled. cabin…case closed. So, all new insulated wires complete with fuse panel and current limiters were installed. Secotan hauled out on a marine railway at Usina’s North Beach fish camp. 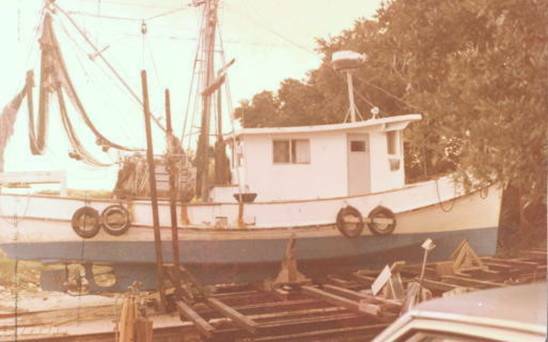 Secotan after haul-out and new paint job, berthed in our front yard in St. Augustine. pounds a day unless we locked it up…he was right. The quality of seafood deteriorates rapidly and it is never any fresher than when it is caught…aged fish is worthless. also found out that it took eight pounds of diesel fuel for each pound of catch, but that was another story. save precious fishing time during the height of the season. squid turned out to be one of our best moneymakers. statement that we learned over and over. what type and size nets they all use. 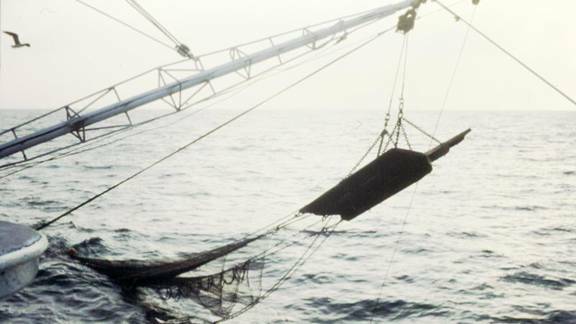 caught in the spring season require a semi- balloon net, each has a special cut and shape. to hold the top up and open. On the bottom is fastened a chain that weights it down and thus we have an opening. The procedure for putting this overboard and retrieving it is a story in itself and you won’t learn it all in one day. love them, maybe even more. and yes the ray was delivered back to the sea alive and unharmed and we hope still out there enjoying old age. 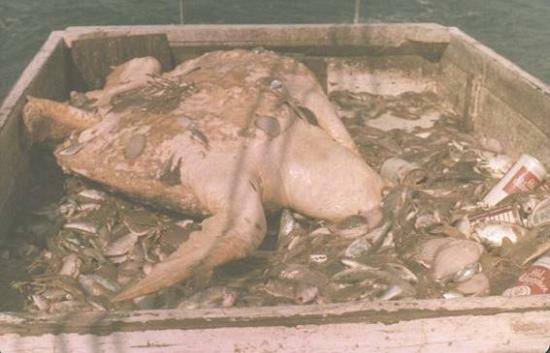 everything that came out of their nets was dead on arrival. of surprises….at times even dollar bills! 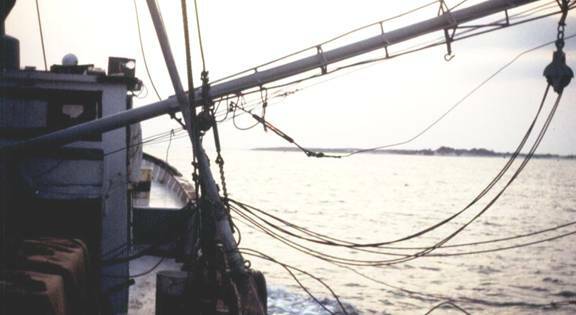 that helped us fill our nets…so many thanks! foot nailed to the floor. Secotan tied to our dock in our front yard with lots of drop-in company. 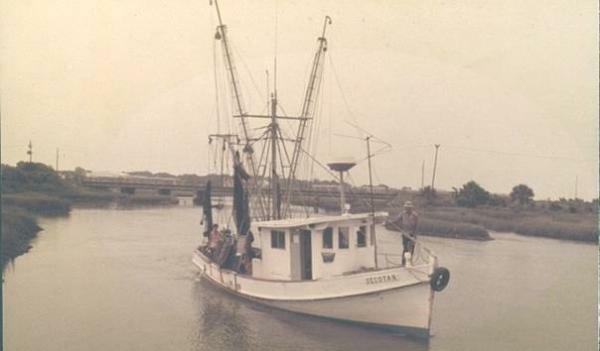 boat in the St. Augustine inlet. As we arrived on the scene we saw there was a capsized boat and men in the water. foot outboard boat up in the rigging very carefully as not to pull it to pieces as it was awash and full of water. death and had not really grasped the gravity of their situation. too large a vessel to enter that channel. we were in distressful situations. 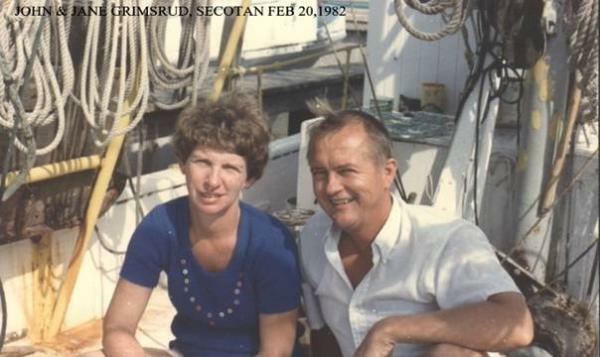 cultivated back in our cruising days aboard our forty-six foot motor sailing yacht the Dursmirg. peninsula of Mexico…that is another story. was a windstorm that we encountered at Hobe Sound south of Stuart. up our new VW camper van and tour there for four months. years of rewards and lots of fond memories. This story contains the roots for many more stories and over time I hope to bring it all together, so stay tuned. resources. 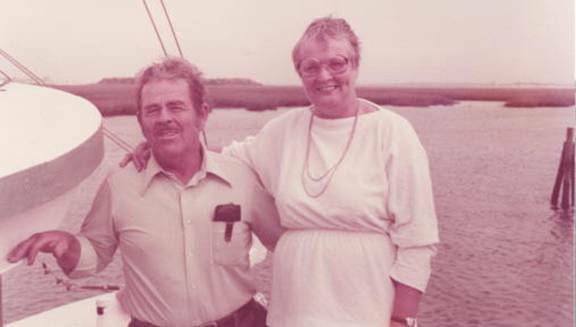 In 1972 when we came to Florida there were seven million people, last count close to eighteen million. water that is the life blood of all of our marine life. We all in the end are the final filter of these toxins and are at the top of the food chain. and soon will be a must…eight pounds of diesel fuel for one pound of shrimp just isn’t acceptable anymore. 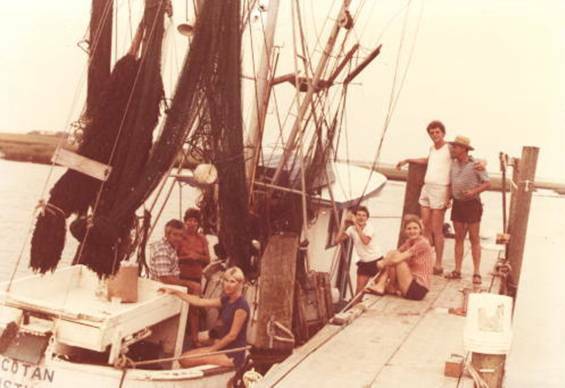 1 “Party boat”, this is a boat that takes groups of fisherman out for pleasure. 4 671 Detroit diesel. Six cylinders and 71 inches of displacement per cylinder, 165-horse power at 1800 RPM. guy them off both fore and aft. turning shaft and others use hydraulics. recorder, twenty four mile radar, loran-c position finder and a Wood-Freeman auto pilot. 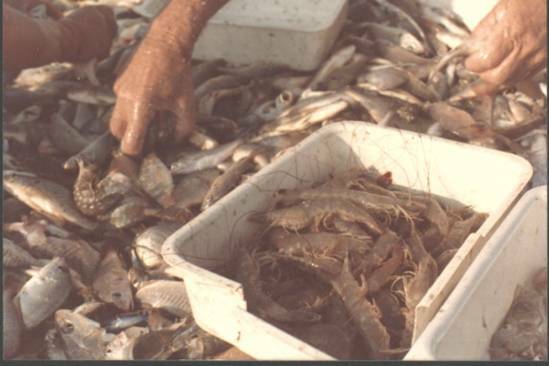 11 bait shrimp; usually small shrimp that were more than fifty to the pound heads on. pink and rock to name a few. “Each has a different life style”; for example the “key pink” that are nocturnal. switches for all lights, pumps and navigational gear.